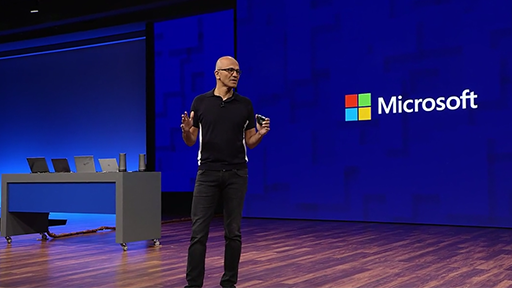 Microsoft CEO, Satya Nadella describes Microsoft's opportunity to Build the Intelligent Cloud, Reinvent productivity and business process and create more personal computing. 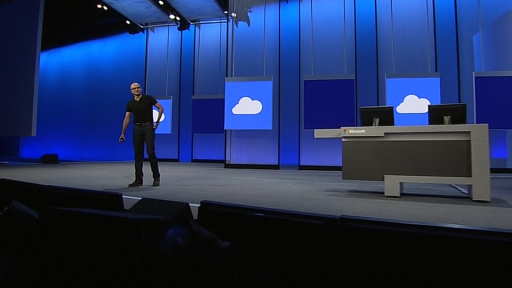 Scott Guthrie explains how Microsoft's Azure is poised to create the Intelligent Cloud. 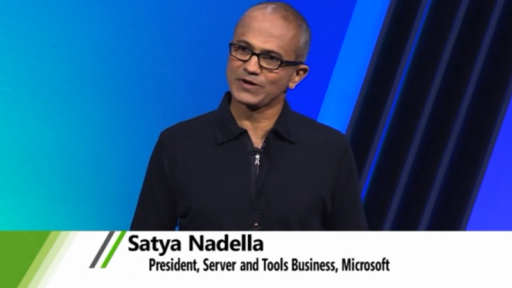 Satya explains how Microsoft Office is evolving to reinvent productivity. 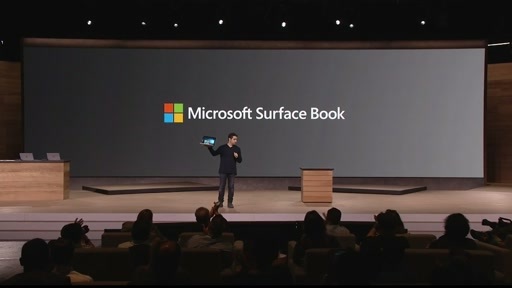 Terry Myerson explained how Windows 10 will create more personal computing with new bridges to enable developers to evolve their code into Windows 10 to enable phones, tablets, desktop, Xbox and Holograms. I've seen the User Voice repository on the MS campus. It resembles of Cave of Swallows in Mexico. You throw a message in, and nothing comes back except a thud. Except if the message contains XNA, Silverlight, or LightSwitch; in which case not even a thud is heard. 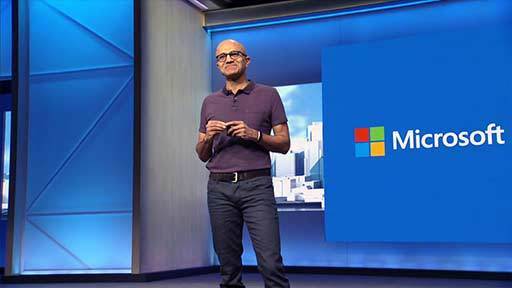 This conference Will make people more aware of Microsoft products,look forward to and in Microsoft's future. Estamos a la espera de no ser decepcionados ajaja ok no. Can't watch the live broadcast on IE11 Win7 no Flash player. Chrome plays fine. Great.. Managed to join the Livecast!! No Azure data centres in Africa? Hope there are plans for that to change (I'm okay - I'm in Europe but I understand the need to be inclusive). 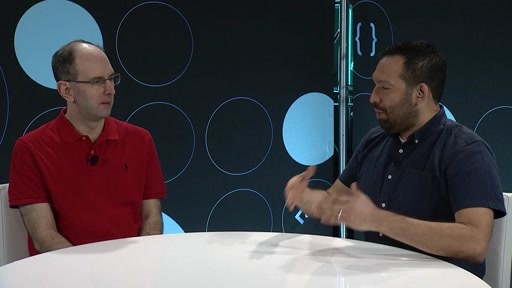 @Satsumo:Azure operates out of 17 regions around the world. and the key note showed 19.. so there will be more additions soon..
@AceTeam:Thanks for clarification. Awesome start to Build 2015 so far. pls i cant watch live video... any one can send link for live ? arg, rumours of Android on WinPhone! This is probably the best keynote sessions, covered the full range of Microsoft next generation work. It is a new Microsoft, adaptable, quick and bringing real innovations to the table. From Azure, to Office, Windows, Developer tools & Hololens everything is aligned to the strategy and goals. I doubt any other company can matchup with this. 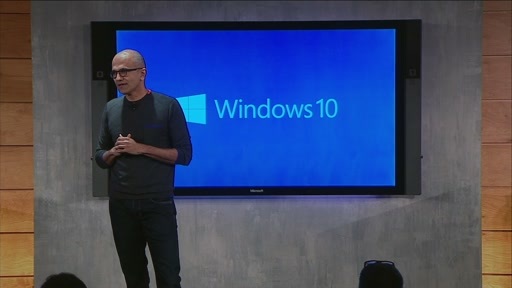 Talking of Windows 10, it will be a huge success. There are billions of reasons to be on this platform, its is the most advanced OS in the market. I am looking forward for new Microsoft Lumia flagship phones!! MS Edge is amazing!! Other companies makes gimmicks, but Microsoft makes it for serious people to make a difference. Way to go guys. Looking forward to get one. Does anyone know where I can find low resolution versions of these videos? I can't seem to watch these on here. I'm absolutely impressed with Hololens. I mean I was impressed before, just don't know it can grow that fast. That was sick! Windows 10 is looking awesome so far. I hope it won't be slow as hell cause that's A LOT of feature they add and universal apps mean they won't be deeply integrated. These are exciting times to be a .NET developer. Where can we get the source code for Fabrikam garage? HoloLens - excellent achievement and great job. 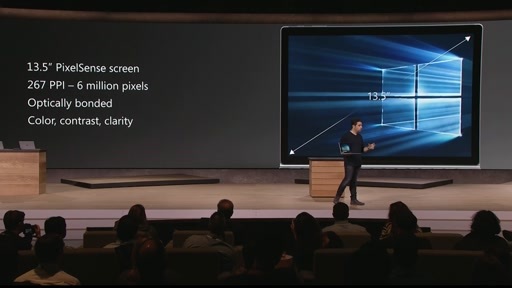 Awesome Universal Apps Platform in Windows 10. Including the Andriod and ios Systems. Developers have the most epic platform. Awesome, I can't wait for developing apps without screen. Fantastic to see windows really developing, windows mobile and windows phone can be my pc!! Awesome I want that device. I really hope MS produce an advert about this, just amazing. 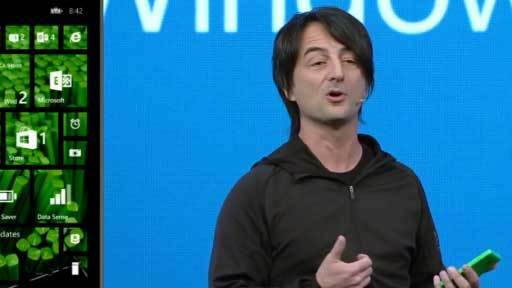 One of the best Microsoft Keynotes. Lots of exciting developer opportunities and ambitious goals...crisp clear collaboration among Microsoft teams..way to go! Is the live feed available on the Xbox one app? OMG go to 2:30:00 Microsoft Hololens is just amazing and the robot demo, pinch me, I must be dreaming, WOW!!!! Awesome stuff. Great time to be a .NET Developer! >40% Revenue from Start-ups and ISVs. supported in Azure and Visual Studio. 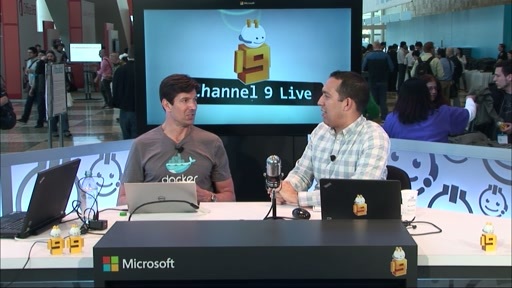 Deploy and debugging .NET apps to Docker containers in Windows or Linux. Debugging, Local Variables, Autos, etc. One binary that runs on Desktop, Windows Phone, Windows Tablet, Surface Hub, IoT Devices, Xbox and HoloLens. Carrier Billing for all Windows devices. Website will be able to be run as an application and make use of notifications, etc. Ability to compile iOS Objective C code in Visual Studio on Windows. Continuum: Ability to "flex" and adapt applications from device to device. I wonder who thought, that adding an auto-playing video banner (and auto-playing, unstoppable audio stream) to a page where people watch a video, would be a good idea. It's amazing ! If Steve Jobs were alive , he would drop from his chin. In comparison, the iPhone's appearance was only dice . Amazing technology ! That's amazing conference, wish to attend all of these conferences. Unfortunetly downloading of HQ version fails. Hey guys, can you check whether Mid Quality MP4 is corrupted? Lots of amazing new stuff. ASP.NET 5 is the thing I'm most interested in. BTW I liked very much the outro song, will look into it. Both low and mid quality videos are corrupted. 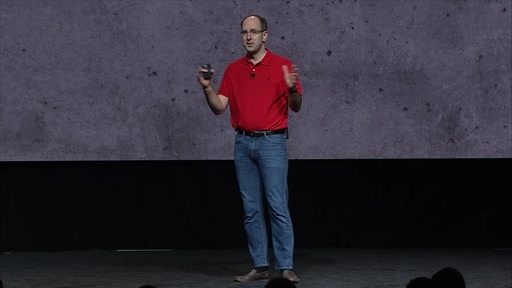 Have to try high quality one..
Great Keynote. Thanks ScottGu, Hanselman, Russinovich, Alex Kipman et al. I needed to get some work done, but could not stop watching. I am looking forward to any breakout session videos, but will need to spread this out over the next week. Thanks Satya. I am very enthused about the direction MS is going. please, may we have access to the PowerPoint presentations for the two keynotes? BTW, i really enjoyed the David William Hearn segment, c. minutes 6 to mid 10, on recognition of music handwriting for composers even though i'm not a composer myself. Why so mean? Why so crude? Why so angry? Why so rude? Can I have a SRT file for the subtitle ?